The Riviera Nayarit, surrounded by the western mountain range and the Pacific Ocean is one of the most attractive destinations in Mexico. The precious nature treasure offers the right escape for all kinds of tourists and vacationers, whether those looking for luxury or quiet shores to relax and avoid crowds. The region, preceded by mountainous jungle and offshore islands, extends about 300 kilometers along the coast. 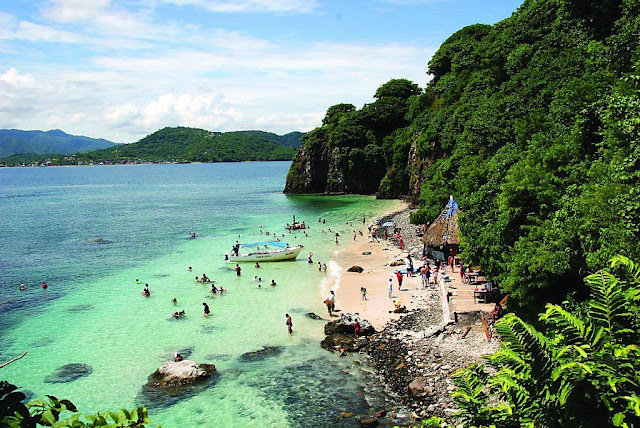 If you are looking for rustic corners of Mexico, then head straight for Riviera Nayarit. The gion got the name to promote the amazing coastline of Nayarit state and boasts of consistently perfect weather conditions. The Riviera Nayarit is a paradise for the seaside surfers as birding location in Mexico and a historical naval port. Begin your trip at the Marieta Islands a few miles off the coast of Nayarit, which is a protected national park. The deserted islands are simply perfect for snorkeling, whale-watching, and paddle boarding or one can simply relax on the beach. Families can enjoy whale- and bird-watching or snorkel through the crystal-clear waters, and gaze at the tropical fish, starfish and more. “Marine Safari” is another popular tour of the waters, known for the warm clear waters and a beautiful beach. The Mexican military used the islands for practicing bomb targeting, but today, the islands are a protected bird sanctuary and teem with life both above and under the water Hidden Beach is accessible with special permission on the Marietas Islands. If you love surfing, sunbathing and shopping, then the towns of San Pancho and Sayulita are simply perfect. There are several coffee shops and inviting smoothie spots in the region. Sayulita is famous for great shopping. Pick from any of those resorts located in Riviera Nayarit along Pacific coastline. There are stunning backdrops and plenty of fun filled activities to enjoy at these resorts such as treasure hunts and cooking classes for the children. The adults can indulge in beach volleyball, scuba classes, and bike tours. Reconnect with your loved ones over incredibly delicious food and fresh dishes. There is no denying that Riviera Nayarit is one of the most underrated destination. There are lots to do and explore here such as outdoor adventures, pristine beaches, and surf towns. Plan ahead as the Mexican government allows only a few tour companies to take visitors to the islands due to conservation. There are some areas in the Marieta Islands where fishing or hunting is not allowed. The sweeping coastline of Riviera Nayarit if filled with many attractions for nature lovers, golfers, beach lovers, and surfers. There’s plenty to do and see here.